Zoostorm Ryzen 5 Desktop PCSorry, this product is currently out of stock. Designed to meet the rigours of the classroom, the Elite is a compact, durable small form factor PC offering an improved 'Storm Coat' paint durability and scratch resistance chassis. With a minimum 8 year design life, 85% PSU efficiency and cooling fans rated for over 50,000 hours, the Elite will deliver outstanding performance and reliability for many years to come. Central to this Zoostorm desktop is a 2nd Gen AMD Ryzen 5 2600 6-core, 12-thread desktop processor (3.40 GHz), expressing the power and efficiency of the high performance Zen x86 core architecture. Equipped with AMD SenseMI Technology your system will exhibit true machine intelligence making for unprecedented power and responsiveness giving you greater advantage. Zoostorm have loaded this PC with a 8GB RAM that delivers blazing fast performance. Expect super-fast performance from the 240GB Solid State Drive, including faster boot-up and application load times as well as smooth multi-tasking. This Zoostorm PC boasts the ASUS PRIME A320M-K Motherboard, delivering customisable system performance. The ASUS PRIME A320M-K features the smoothest, slickest mouse-controlled graphical BIOS that has been improved to make it even more appealing. Windows® 10 Pro is a great business partner. It has all the features of Windows 10 Home, plus important business functionality for encryption, remote log-in, creating virtual machines, and more. 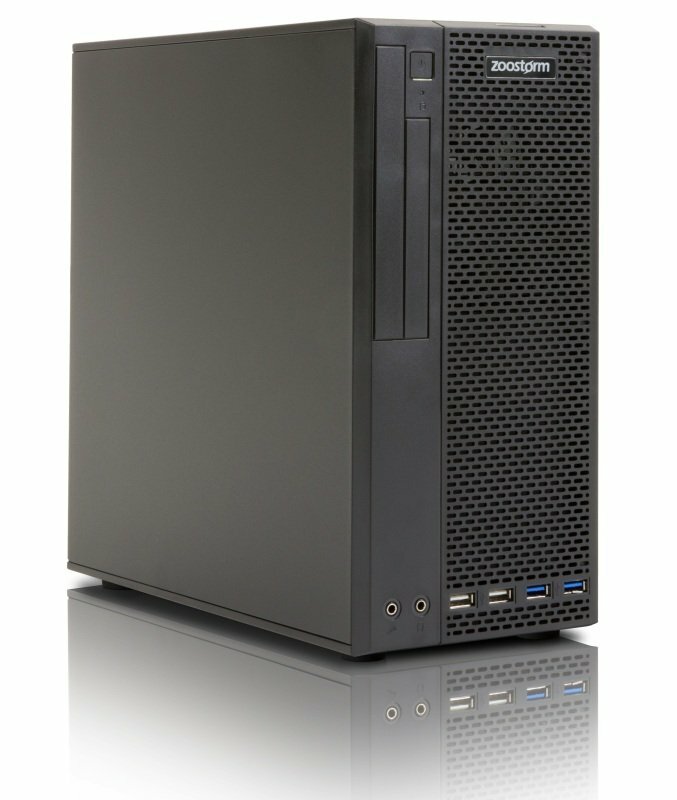 All Zoostorm PCs are covered by our 'no questions asked' 1 Year Collect and Return Warranty. In other words, if your system encounters a fault within this period, we will arrange for your PC to be collected, restored at one of our repair centres, before being returned back to you in full working order. Zoostorm is manufactured and supported in the UK and has built its reputation on delivering excellent quality, service and support.